Bahri has a particular interest in aesthetics, and has worked to develop this area in postcolonial studies. In Native Intelligence: Aesthetics, Politics, and Postcolonial Literature (2003), she writes about the “aesthetic dimension” of postcolonial literature, borrowing a phrase from the Frankfurt School theorist, Herbert Marcuse (see also Theodor Adorno). This book argues that postcolonial literature needs to be read not only as postcolonial, but also as literature. How, Bahri asks, do aesthetic considerations contest the social function of postcolonial literature? In answering, her book takes on two tasks: first, it identifies the burden of representation borne by postcolonial literature through its progressive politicization. Second, it draws on Frankfurt School critical theory to reclaim a place for aesthetics in literary representation by closely engaging with the works of Rohinton Mistry, Salman Rushdie, and Arundhati Roy. Throughout, Bahri shows how attention to the aesthetic innovations and utopian impulses of postcolonial works uncovers their complex and uneven relationship to ideology, reanimating their potential to make novel contributions to the larger project of social liberation (see Postcolonial Novel). Bahri has edited two collections of essays. Co-edited with Mary Vasudeva, Between the Lines: South Asians and Postcoloniality (1996) is a collection of new interviews, critical essays, and commentary exploring South Asian identity and culture. Sensitive to the false homogeneity implied by categories such as “South Asian,” “diaspora,” “postcolonial,” and “Asian American,” the contributors attempt to unpack these terms (see Languages in South Asia, Christianity in India, Jews in India, Kerala). By examining the social, economic, and historical particularities of people who live “between the lines,” on and between borders, they reinstate questions of power and privilege, agency and resistance (see Caste in India). As South Asians living in the United States and Canada, each to some degree must reflect on the interaction of the personal “I,” the collective “we,” and the world beyond. The South Asian scholars gathered together in this volume speak from a variety of theoretical perspectives; in the essays and interviews that cross the boundaries of conventional academic disciplines, they engage in intense, sometimes contentious, debate. Included in the roster of participants are Gayatri Chakravorty Spivak, Gauri Viswanathan, Meena Alexander, M. G. Vassanji, Amritjit Singh, Sukeshi Kamra, Amitava Kumar and others. Realms of Rhetoric: Inquiries into the Prospects of Rhetoric Education (2003), co-edited with Joseph Petraglia, explores the challenges and opportunities faced in building a curricular space in the academy for rhetoric. Although rhetoric education has its roots in ancient times, the modern era has seen it fragmented into composition and public speaking, obscuring concepts, theories, and skills. With a foreword by Wayne Booth, the collection considers the prospects for rhetorical education outside narrow disciplinary constraints and, together with leading scholars, examine opportunities that can propel and revitalize rhetoric education at the beginning of the millennium. Contributors include leading thinkers in the field such as David Bleich, Walter Jost, Carolyn Miller, and others. In 2006, Bahri edited Empire and Racial Hybridity, a special issue of the journal South Asian Review. In the area of global health, she has written a report entitled AIDS Prevention and Control in Tamil Nadu for USAID (APAC-VHS Publications, 2002) (see Mimicry, Ambivalence, Hybridity). Editor. “Empire and Racial Hybridity.” Special Issue of South Asian Review. 2006. Native Intelligence: Aesthetics, Politics, and Postcolonial Literature. Minneapolis: U of Minnesota P, 2003. Editor, with Joseph Petraglia. Realms of Rhetoric: Inquiries into the Prospects for Rhetoric Education. Albany, NY: SUNY P, 2003. Partners in Prevention: AIDS Prevention and Control in Tamil Nadu. USAID/CDC, 2002. .pdf format. Published as AIDS Prevention: It Works. Chennai: APAC/USAID, 2002. Editor, with Mary Vasudeva. Between the Lines: South Asians and Postcoloniality. Philadelphia: Temple UP, 1996. “Key Journals and Institutions in Postcolonial Studies.” The Cambridge History of Postcolonial Literature. Ed. Ato Quayson. Cambridge UP, 2011. “Postcolonial Aesthetics in the Culture Industry.” Renewing Cultural Studies. Ed. Paul Smith. NY: Temple UP, 2011. “Feminism and Postcolonialism in a Global and Local Frame.” Vents d’est, Vents d’ouest: Mouvements de Femmes et Féminismes Anti-coloniaux. U of Geneva Press (with UNESCO), 2009. “The Digital Diaspora: South Asia in the New Pax Electronica.” In Diaspora: Theories, Histories, Texts. Ed. Makarand Paranjape. Delhi: Indialog, 2001. 222-34. “Once more with Feeling: What is Postcolonialism?” ARIEL: A Review of International English Literature 26.1 (Jan. 1995): 51-82. “Disembodying the Corpus: Postcolonial Pathology in Tsitsi Dangarembga’s Nervous Conditions.” Postmodern Culture: An Electronic Journal of Interdisciplinary Criticism 5.1 (1994): 1-59. Her current book project focuses on the representation of racial and cultural difference in literature. Current research projects include the PostcolonialStudies Website and a book-length project on the representation of racial and cultural difference in literature. ”A World of Difference.” College English 70.5 (May 2008): 514-20. ”The Namesake.” Review Essay. Film Quarterly 61.1 (2007): 10-15. ”What Difference Does Difference Make? : Hybridity Reconsidered.” South Asian Review 27.4 (Dec. 2006): 6-30. ”Arguments to Die (and Kill for): Colonial Fantasy, Postcolonial Masculinity, and the Rhetoric of Hindu Fundamentalism.” South Asian Review 25.2 (Dec. 2004): 23-42. ”Predicting the Past.” Modern Language Quarterly 65.3 (2004): 481-503. “Telling Tales: Women and the Trauma of Partition in Sidhwa’s Cracking India.” Interventions: The International Journal of Postcolonial Studies. 1.2 (1999): 217-34. “Terms of Engagement: Postcolonialism, Transnationalism, and Composition Studies.” Exploring Borderlands: Postcolonial and Composition Studies. Spec. issue of JAC: A Journal of Composition Theory 18.1 (1998): 29-44.
with Mary Vasudeva. “Swallowing for Twenty Years / the American Mind and Body”: An Interview with G. S. Sharat Chandra.” Journal of Commonwealth and Postcolonial Studies 5.1 (Fall 1997): 9-17. “Marginally Off-Center: Postcolonialism in the Teaching Machine.” College English 59.3 (Mar. 1997): 277-98. “Boethius and Sir Thomas Browne: The Common Ground.” Mythes, Croyances et Religion dans le monde Anglo-Saxon 10 (1992): 43-53. “The Reader’s Guide to P.G. Wodehouse’s America.” Studies in American Humor ns 7 (1989): 32-44. Feminism and Postcolonialism in a Global and Local Frame.” [in press] Vents d’est, Vents d’ouest: Mouvements de Femmes et Féminismes Anti-coloniaux. U of Geneva Press (with UNESCO), 2009.
with Jennifer Yusin. “Writing Partition: Trauma and Testimony in Bapsi Sidhwa’s Cracking India.” Partition and Migration. New Delhi: Pearson Education, 2007. 82-98. “Salman Rushdie’s Shorter Fiction.” The Cambridge Companion to Salman Rushdie. Ed. Abdulrazak Gurnah. Cambridge UP, 2007. 139-52. “The Economy of Postcolonial Literature: Rohinton Mistry’s Such a Long Journey.” Rohinton Mistry: An Anthology of Recent Criticism. Ed. 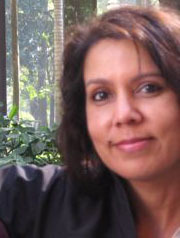 Anjali Gera Roy and Meena T. Pillai. Delhi: Pencraft International, 2007. 99-133. (Rpt. from Native Intelligence). ”South Asian Diaspora in the Global Digital Divide.” A Historical Companion to Postcolonial Literatures. Ed. Prem Poddar. Edinburgh University Press, 2005. 123-28. ”Feminism in/and Postcolonialism.” The Cambridge Encyclopedia of Postcolonial Studies. Ed. Neil Lazarus. Cambridge UP, 2004. 199-220. Rpt. Penser le Postcolonial: Une Introduction Critique. Transl. Marianne Groulez, Christophe Jaquet et Hélène Quiniou. Editions Amsterdam, 2006. With Joseph Petraglia. “Introduction.” Realms of Rhetoric. 1-10. “What We Teach when We Teach the Postcolonial.” Coming of Age: The Advanced Writing Curriculum. Ed. Linda K. Shamoon, Rebecca Moore Howard, Sandra Jamieson, & Robert A. Schwegler. Heinemann-Boynton/Cook, 2000. (Print-linked publication on paper and CD-ROM). “With Kaleidoscope Eyes: The Potential (Dangers) of Identitarian Coalitions.” A Part, Yet Apart: South Asian Americans in Asian America. Ed. Lavina Dhingra Shanker & Rajini Srikanth. Temple UP, 1998. 25-48. “Always Becoming: Narratives of Nation and Self in Bharati Mukherjee’s Jasmine.” Women, America, and Movement: Narratives of Relocation. Ed. Susan Roberson. Columbia: U of Missouri P, 1998. 137-54. “Coming to Terms with the Postcolonial.” Between the Lines: South Asians on Postcolonial Identity and Culture. Temple UP, 1996. 137-64.
with Mary Vasudeva. “Introduction.” Between the Lines: South Asians on Postcolonial Identity and Culture. 1-32.
with Mary Vasudeva. “Observing Ourselves among Others: Interview with Meena Alexander.” Between the Lines: South Asians on Postcolonial Identity and Culture. 35-53.
with Mary Vasudeva. “Pedagogical Alternatives: Issues in Postcolonial Studies: Interview with Gauri Viswanathan.” Between the Lines: South Asians on Postcolonial Identity and Culture. 54-63.
with Mary Vasudeva. “Transnationality and Multiculturalist Ideology: Interview with Gayatri Chakravorty Spivak.” Between the Lines: South Asians on Postcolonial Identity and Culture. 64-89. The Clash Within: Democracy, Religious Violence, and India’s Future by Martha Nussbaum. Journal of Commonwealth and Postcolonial Studies 13.1 (2006): 108-110. In the Beginning IS Desire: Tracing Kali’s Footprints in Indian Literature by Neela Bhattacharya Saxena. Comparative Studies of South Asia, Africa, and the Middle East 25.3 (2005): 697-99. A Geopolitics of Academic Writing by A. Suresh Canagarajah. South Atlantic Review (Winter 2005): 148-51. Calibrations by Ato Quayson. Modern Fiction Studies 51.1 (Spring 2005): 222-226. Lives in Translation: Sikh Youth as British Citizens by Kathleen D. Hall. Anthropology and Education Quarterly 34.2 (June 2003). www.aaanet.org/cae/aeq/br/index.htm. Postcolonial, Queer: Theoretical Intersections, ed. John C. Hawley. JAC 22.1 (Winter 2002): 225-29. Rev. essay. “States of Knowledge: The Politics of Everyday Culture.” Rev. of Empire of Knowledge and States of Exception. Journal of Commonwealth and Postcolonial Studies 9.2 (Fall 2002): 145-49. Rev. essay.”Roses in December: Cultural Memory in the Present.” Rev. The Practice of Cultural Analysis Tropicopolitans, and Race-ing Representation. College English 63.2 (Sept. 2000): 95-101. Our Feet Walk the Sky. Committee on South Asian Women Bulletin 9:1-4 (1994): 51-53. As a researcher associated with postcolonial studies, I would like to know Deepika Bahri’s comments on cultural colonialism that is going on presently in India. We would love to have you contribute some of your work on cultural colonialism in contemporary India to our site. I think that such work would be a useful resource for scholars of India and Indian culture. Please feel free to email me (cschwen@emory.edu) or Dr. Bahri (dpetrag@emory.edu) to discuss this further. you must enlighten us with your video lecture easily available on youtube.